They can take advantage of the number of pubs for sale in the London as well as the city’s vibrant, rich night life and their everlasting love of pubs. A pub used to be the place you could stop in for a pint or a good ale. Pubs today are much more than ale or beer. There are pubs to suit every wish, taste, and sport. A traditional London pub usually has on its menu stouts, ales, porters, beers, lagers, milds, and bitters. These types of pubs have been around for a very long time. They experienced a decline some years ago as patrons flocked to more upscale trendy bars. These bars have become once again very popular. Mainly because of their friendly, down to earth charm, the warm and cosy déco, and the family atmosphere. The best spots for these types of pubs are usually locations that are tucked away from the noise and hustle and bustle. Sports bars are one of the new trends in pubs and particularly football pubs as football is one of the biggest sports in London. This makes football a great choice for a sports themed bar. Depending on the league, there is always a game on, a cold beer, and some snacks always complement a good game of football. The menu can be simple as food is not the highlight of this type of pub. The ambience is important as well as many vantage and viewing points to make sure a game is always in view of all the patrons. This type of pub does well in a location that is central. It should be easy for patrons to pop in and catch a game after work or on weekends. In terms of size, the larger the better there is more fun in numbers. Trendy hang out spots that are hip and cool are the latest innovation in pubs. They are the places to see people and be seen. They offer dining, live music, fine wines, and cocktails. The standard of the offerings is very important. The food has to be above the regular bar fare and while there are some bars that have recorded music playing in the background, the more popular ones have live music. The décor has to be trendy and modern, cool and sophisticated, and it has to be current and in style. They are about being able to enjoy a meal, have some drinks, and party with friends. The location has to be very central and urban to appeal to the right crowd. 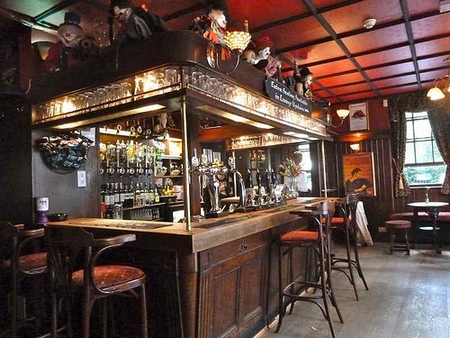 To see a list of pubs available for sale in London visit Netmovers. Before you even consider opening up a pub, you should check this information for potential licensees.